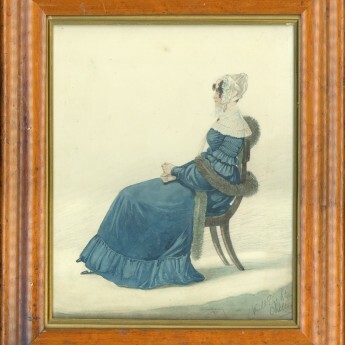 This engaging young Regency lady is off to the ball and has chosen to wear a pale blue empire-line dress trimmed with spotted white lace embroidered with leaves. 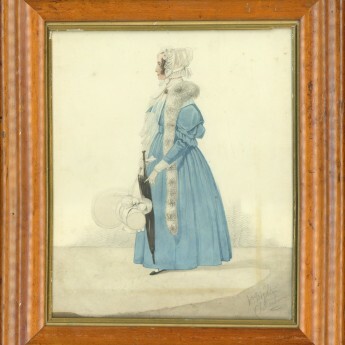 To add some warmth, she has undersleeves that are fitted under the short puff sleeves of her dress; these would have been detachable and could also be worn with other dresses. To ornament the dress further, she has a pretty twisted rope of pearls and a small gold brooch on her corsage. 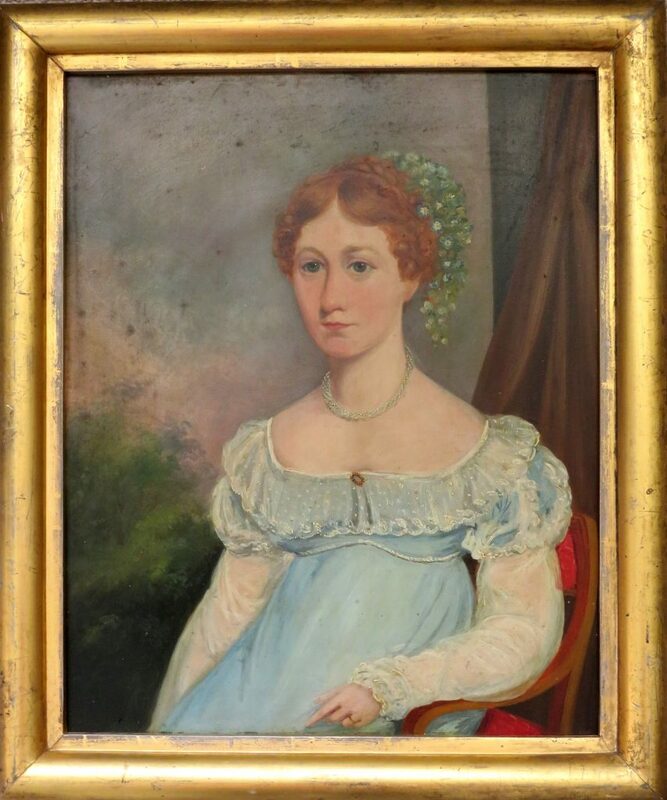 Her auburn hair has been plaited, upswept and dressed with an eye-catching spray of forget me not flowers to symbolise true and undying love. 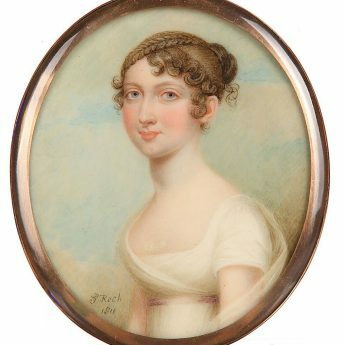 The portrait is painted in oils on a wooden board and is presented in a giltwood frame with a rounded edge.